A chapbook of twelve poems by a poet Dr Nicholas Reid has described as “really located in something that comes after modernism, something that is committed in ways that ‘post-modernism’ is not, but for which we currently have no term.” Apocrypha sounds a deeper register in geologic time. The brilliant image is now restrained. A work of measured, architectonic beauty & power. the constellation Sagittarius. Another Wow! Signal. 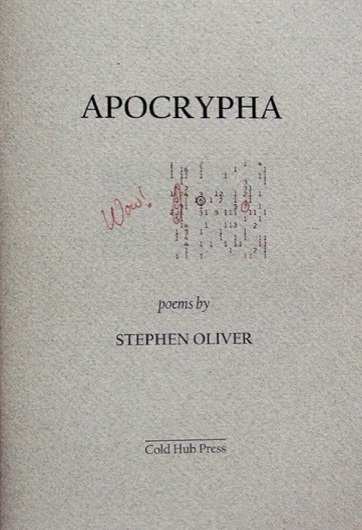 Stephen Oliver, back in New Zealand after twenty years in Sydney, is the author of sixteen titles of poetry. 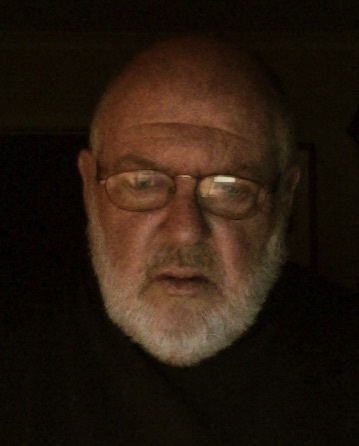 He has published creative non-fiction in Antipodes: A North American Journal of Australian Literature. His latest volume, Intercolonial, is a long narrative poem published by Puriri Press in 2013.